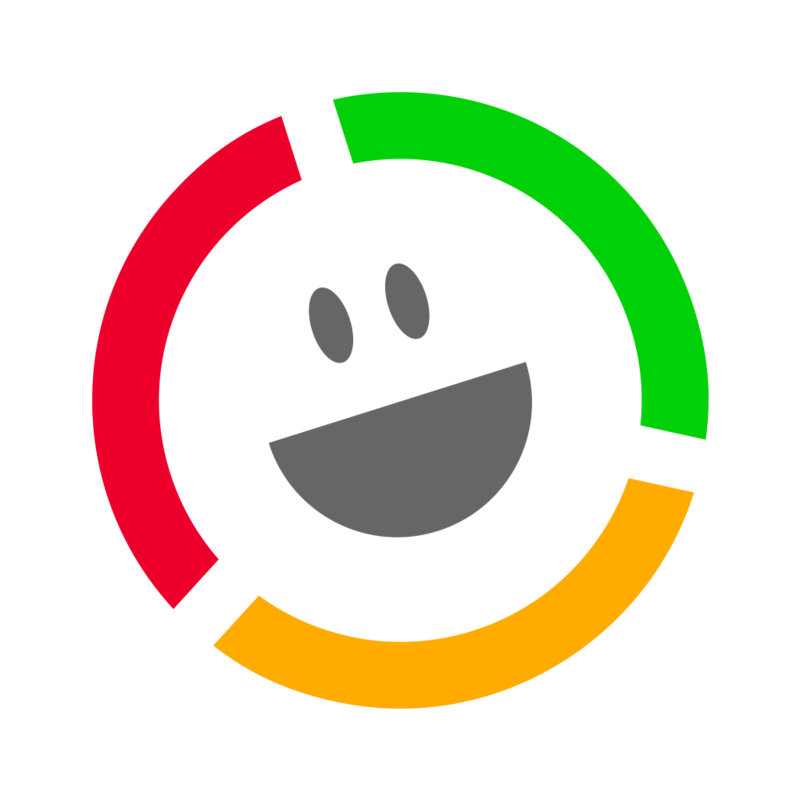 Customer Thermometer captures feedback from buttons you can embed in emails you send from almost any system. But they are not the only clever part of the app! Once your customer has clicked to give feedback they are taken to a landing page where they can leave a comment. You can set these pages up in minutes, and no coding is required. They’re really flexible and fun to customize. We’ve seen some awesome examples, so we thought we’d share the inspiration and some top tips for beautiful landing pages from a range of industries below! 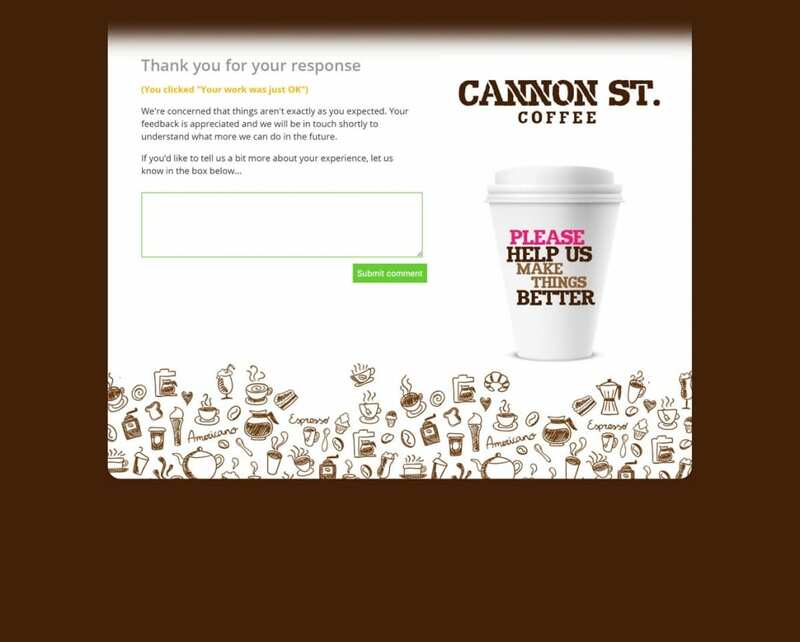 This landing page from Cannon Street Coffee uses the brand and the coffee color from their product to wrap around the feedback page. They have also used the footer to make the page even more engaging with coffee-styled doodles and drawings. Cannon St have used the image on the right hand side to highlight their charity programme. 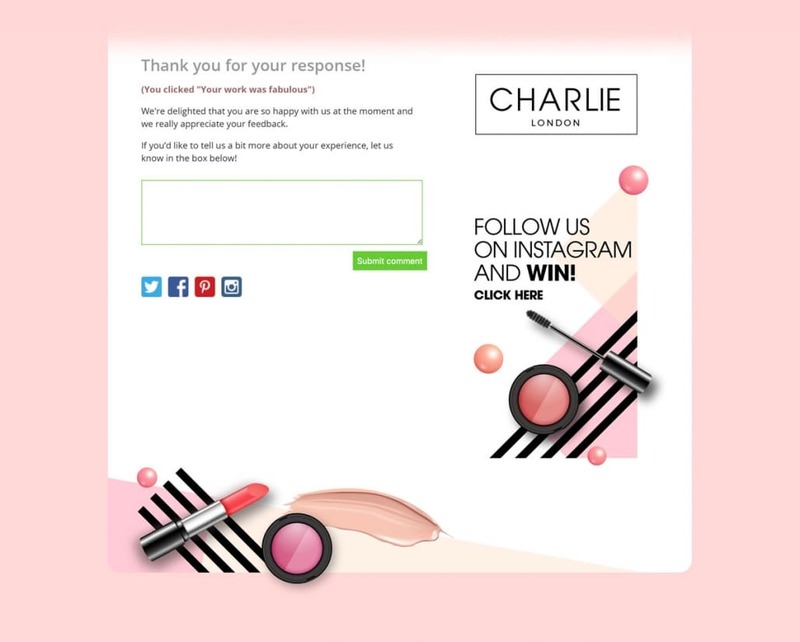 Charlie London have decided to promote a competition they are running via social media on their feedback landing page. They’ve color-matched to the competition’s pink branding and have chosen to include their Twitter, Facebook, Pinterest and Instagram links. Because Customer Thermometer’s landing pages are context-sensitive, it can display social icons only when a customer is happy. 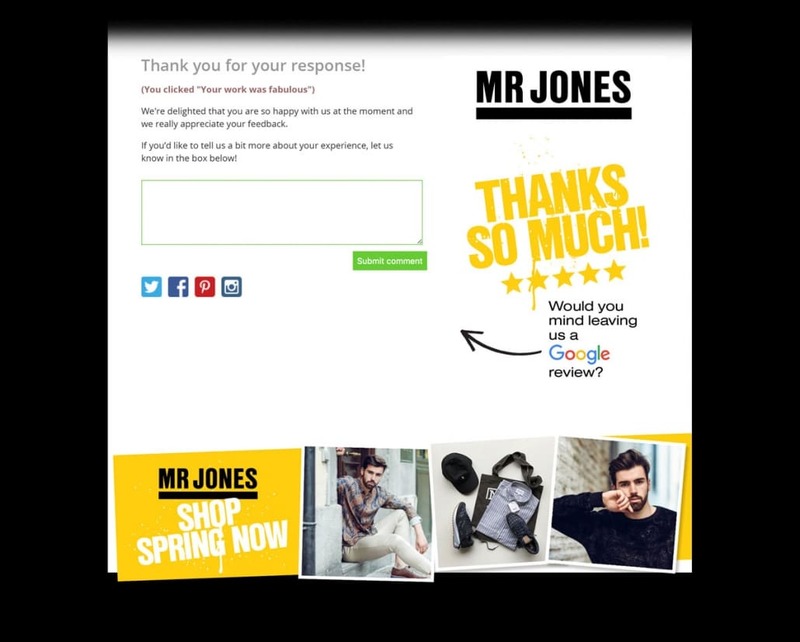 Fashion retailer Mr Jones has chosen to thank people for their feedback and encourage them to leave an online review on Google. Again, this is because they know that the customer is already happy, so they can drive those people to Google/TripAdvisor etc. They have chosen to use their footer to promote their new Spring clothing range, and a call to action to shop now. As a Financial Planning company, CBM’s branding is more focused on its city roots. It has chosen to highlight its credibility by promoting a recent award win on the right hand side. 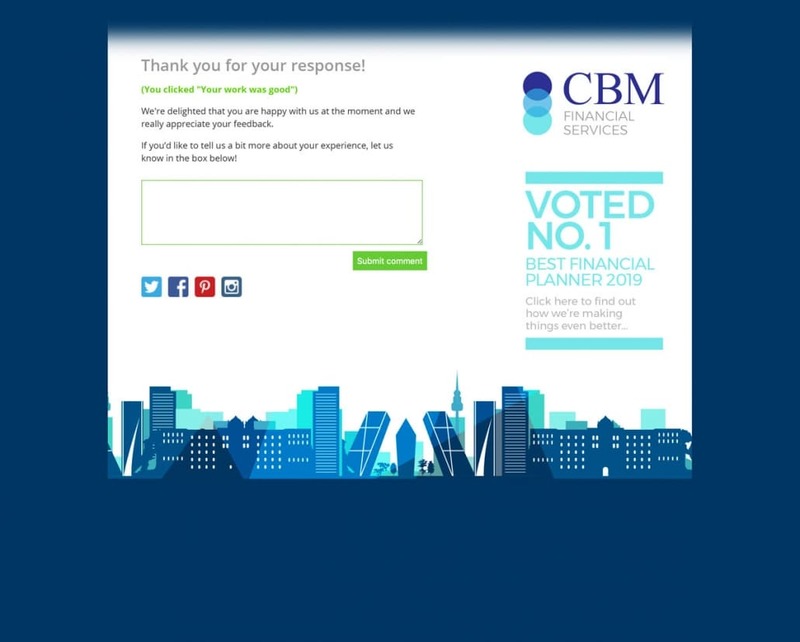 CBM has matched the background color-way and the footer image to its company logo. 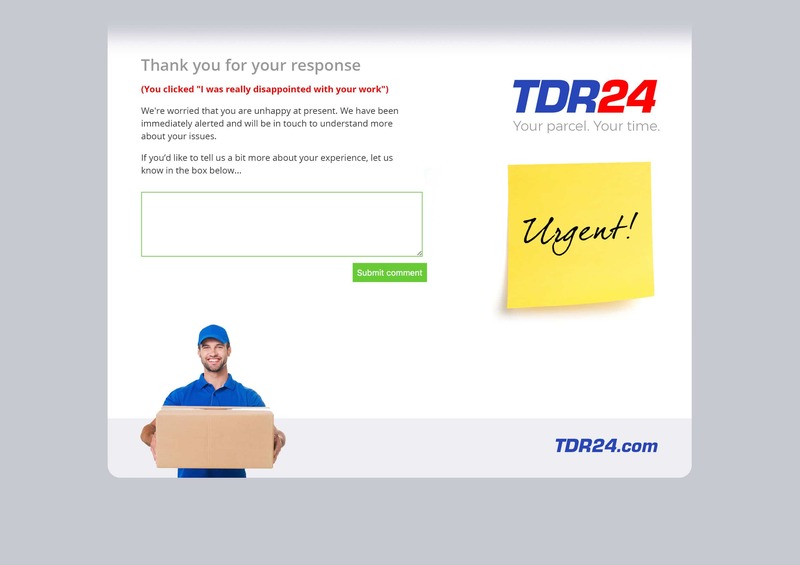 In the example below, TDR has received negative feedback and as a result wants the customer to leave a comment so they can follow up and rectify the issue. Once again, our context-sensitive landing pages mean that if your customer is unhappy, you can remove social media links, to encourage them to feed back to you first, and not the rest of the world! 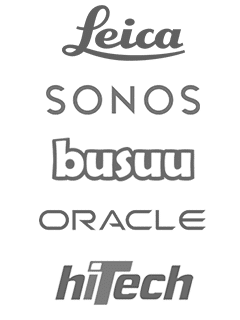 Match the background color, images and footer to your company’s branding and /or products. Consider the marketing opportunities presented by the panel on the right hand side and the footer. You can promote new lines, an event or conference, or highlight recent awards. Promote your social media sites, especially in the context where the customer is happy with your service. Use the text to let people know what will happen next. Can they expect a call or email from you if they are unhappy? Will staff be rewarded if they served the customer well? What do you want people to do next? Make sure the page drives the action you want. Would you like customers to leave a review on Google? Comment back to you so you can fix things? Recommend a friend?